Great stories about our company and the team. 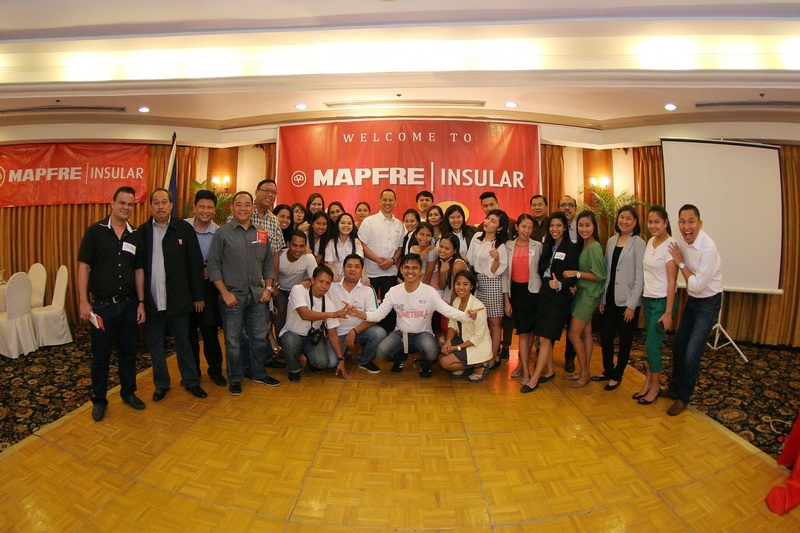 Yesterday, January 21, 2016, MAPFRE INSULAR started the year with its 2016 Sales Kick-off. 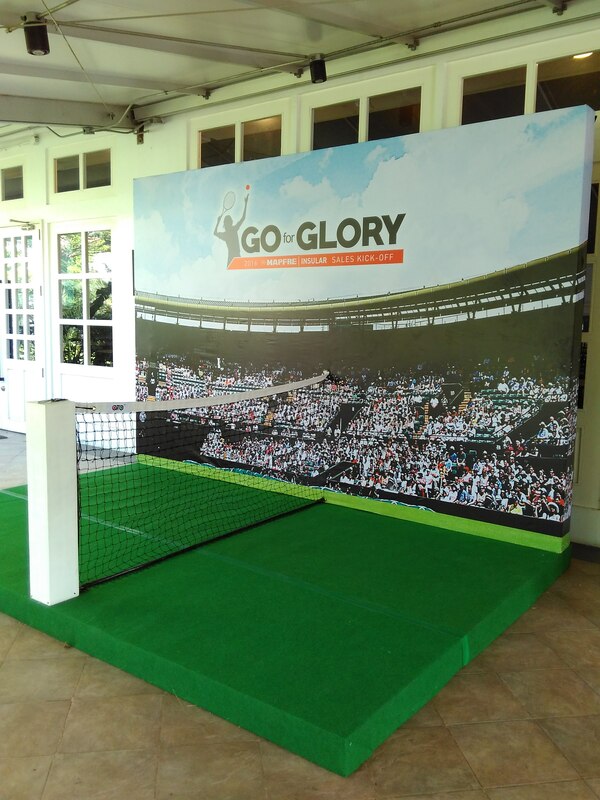 The event theme centered on the call for glory for MAPFRE INSULAR agents as 2016 is dubbed ” the year of the agent”. During the event, MAPFRE INSULAR launched its latest agents’ development program that promises a complete career path for MAPFRE-loyal agents including a comprehensive training program from the first year of entry until the highest level of attainment, the Delegado. Additional technology features and marketing programs aimed at further enhancing the agents path to growth and success were launched. MAPFRE INSULAR is optimistic this 2016 and looks forward to continuously building relationships and growing with its loyal business partners – its intermediaries. The Foundation has launched these international awards that reward the effort that people and institutions make every day to improve the world in which we live. The deadline for entries is March 1. Fundación MAPFRE has launched the 20th edition of its 2015 Awards which reward the commitment of people and institutions that have made outstanding contributions to society in the fields of science, culture and the humanities. «Lifetime Achievement Award (José Manuel Martínez)». This recognizes a rich and exemplary professional trajectory at the service of people and society. To receive this award, the jury will take into account the candidate’s generous commitment to his/her professional activity and how society has benefited from this activity. “Award for the Best Health Promotion Initiative“. This awards an important contribution made by institutions or people to promoting health and improving quality of life. Those organizations that have made real progress in reducing morbidity or damage to health will be highly valued, as well as innovation and the originality of the initiative. “Award for the Best Social Action Initiative“. This is intended to reward the merits of a person or organization which have taken relevant steps to improve the integration and quality of life of disadvantaged social groups, as well as to help them to overcome physical, financial or social limitations. “Award for the Best Accident Prevention and Road Safety Initiative“. This is granted to organizations or people who have significantly contributed to the effective prevention and reduction of traffic, domestic, sports-related or leisure activity accidents. The jury will evaluate the achievements in mitigating the harmful consequences of accidents and the ability for the action to be transferred to other countries or regions. «International Insurance Award (Julio Castelo Matrán)». For the first time, this award, which the Foundation has awarded every two years for the last 14 years, is part of the Fundación MAPFRE Awards. The award honors relevant contributions from people or institutions who have contributed to improving the knowledge and social perception of insurance by means of innovation, research, training and the improvement of services related with the insurance activity. The deadline for entries for these awards is March 1, 2016. Entries may be sent in English, Spanish or Portuguese by the candidates themselves or other individuals or public/private institutions. The winners of the last edition, in which over 450 entries were received from Spain, Portugal and Latin America, were the tenor Plácido Domingo (Lifetime Achievement), the Spanish foundation Colores de Calcuta (Best Social Action Initiative), Cardiac Risk in the Young (Best Health Promotion Initiative) and Youth for Road Safety (Best Accident Prevention and Road Safety Initiative). This November event is held simultaneously in 21 different countries with activities involving all its volunteers. Through its VOLUNTEER program, Fundación MAPFRE has started, for the fourth straight year, its solidarity month, “Month with a reason”. In this edition, its activities will be focused around the campaign “Objetivo Cero Accidentes” (Zero Accident Goal), promoted by the Accident Prevention and Road Safety Area of the Fundación, and is aimed at preventing and mitigating the consequences of road traffic accidents. Throughout November, and coinciding with the month in which the “World Day for Road Traffic Victims” takes place (November 15th), all of the social activities that will be performed by the volunteers will be focused on raising awareness among the population on the prevention of road traffic accidents, the importance of using child restraint systems, respecting all traffic laws and speed limits. Therefore, educational workshops will be held for children and discussions with parents, and materials will be handed out at educational centers, hospitals, training centers and universities. As well as conference in which victims of road traffic accidents will participate by sharing their experiences. As a tool to promote awareness of Road Safety and to instill in the public the conscious effort to be more responsible drivers and road users, the United Nations has adopted November 15 as The World Day of Remembrance of Road Traffic Victims. FUNDACIÓN MAPFRE, and all companies under the MAPFRE Group, are also committed to this same objective – spreading Road Safety awareness and education. We invite everyone to take a moment to watch the video in the below link, and share it as well. The company has reached over 500 agreements with the world’s leading universities and schools, in the seven regions where it operates, and is planning to offer more than 1,000 remunerated internships in 2015, thanks to a detailed global plan in which all of MAPFRE’s human resources teams around the world have participated. The MAPFRE Global Internship Plan Grow With Us is rather more than an ambitious human resources project: it is an initiative that helps reinforce MAPFRE’s role as a socially responsible company. Because, in addition to strengthening the company’s ties with the university world, the plan facilitates the development of young students and their incorporation into the labor market, thereby contributing to professional development within all the societies where MAPFRE operates. Find out more about this new initiative by clicking here. Fundacion MAPFRE has launched its “First Call for Projects Formando Comunidad”, aiming to support the development of international cooperation projects in Latin America, United States, Philippines, Turkey, Malta and Portugal. The entities interested in submitting their projects can do so until February 15th, 2016. These initiatives must contribute to the development of one of the areas of action of the “Formando Comunidad” program, such as education, nutrition, health and access to the labor market. 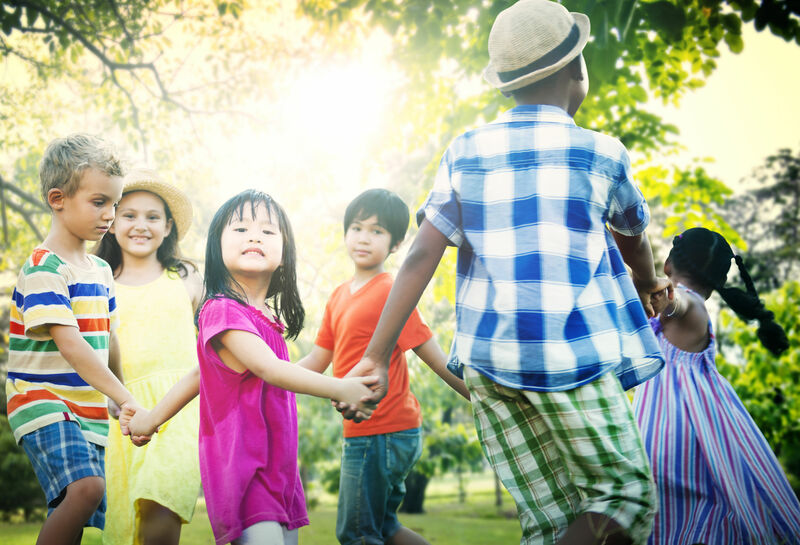 The “Formando Comunidad” program is currently formed by 107 cooperation programs in 23 countries, from which 105,000 children and youth in poverty and social inclusión benefit. The public vote will elect the five best projects and later, a jury of experts, chosen by Fundacion MAPFRE, will finally select the winning project, which will receive a maximum of 30,000 euros to carry out this activity. Fundacion MAPFRE develops cooperation projects in countries where MAPFRE is present. To submit a project or choose among the submitted ones you can access http://convocatoriadeproyectos.fundacionmapfre.org/. 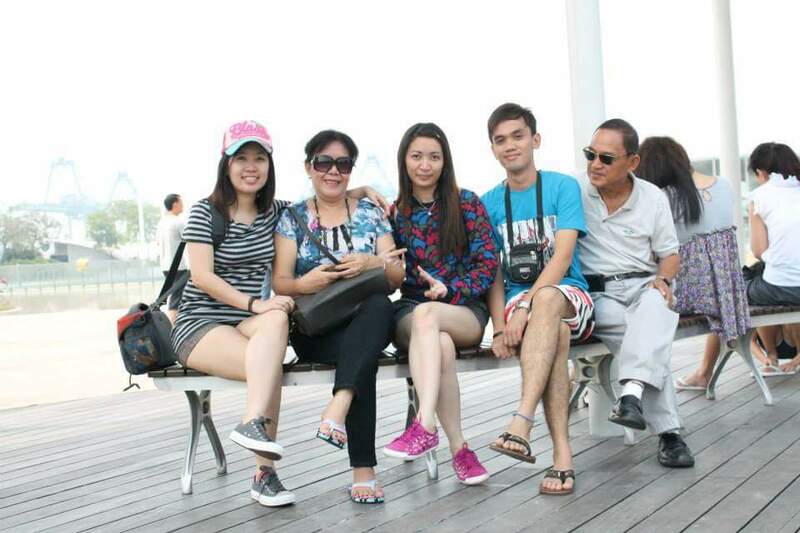 Kabayan Abroad is an online community that aims to bring together Filipino workers all around the world. Kabayanabroad.com, MAPFRE Insular’s initiative in support of OFWs, is a venue for OFWs to communicate with each other and obtain useful and inspirational tools for their day-to-day lives abroad. 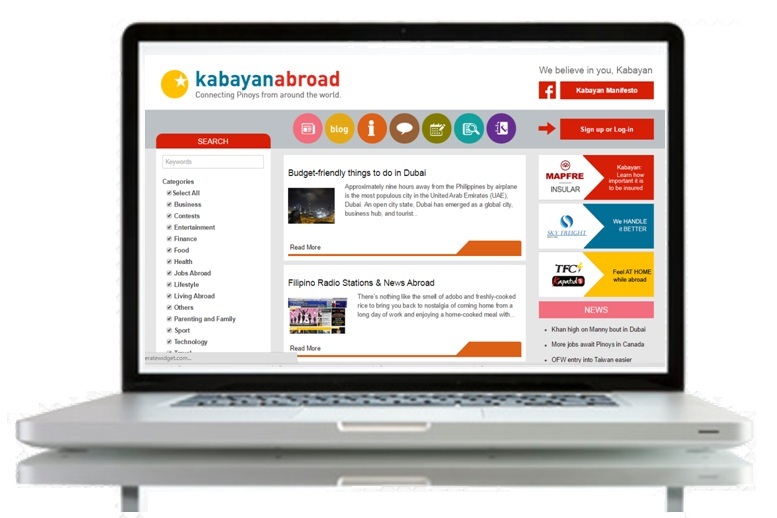 Kabayanabroad.com has several features and sections. The site features monthly articles that consist of practical tips on living abroad from signature writers and lifestyle stories that express experiences from other OFWs. Kabayan Abroad also has a Forum where registered users can post queries and get answers from fellow OFWs, a Classified Ads section that will aid OFWs in selling/buying items, and a Calendar that contains relevant events around the world. Do you have a family member or friend working abroad? Invite him/her to visit and register at kabayanabroad.com and like the Kabayan Abroad Facebook page. In line with the company strategy to excel in serving its clients and intermediaries through continuous improvement of service and user experience, MAPFRE Insular is now launching the new corporate website. The focus of this website is the user through a simple navigation flow and easy-to-access online services links and forms such as Get a Quote, Report a Claim and Manage Renewals. The website includes our latest online service innovation, the Motor Real-Time Quotation. This facility allows customers to readily get an online quotation with several package options to choose from. Visit the new MAPFRE Insular corporate website today! 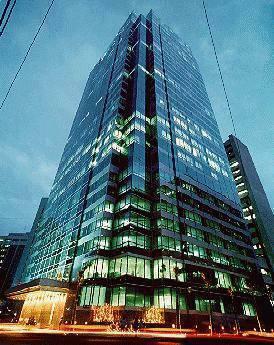 21st Floor, Citibank Tower, 8741 Valero cor. Villar Streets, Salcedo Village, Makati 1226. FUNDACIÓN MAPFRE has called for new applications for grants for Spanish and foreign university students, who are interested in carrying out a post-graduate training period in Spanish universities and institutions during the next academic year. The call will only be applicable to full-time curricula focused on insurance and social protection, consisting of a minimum of 300 hours lecture time, with at least half of which being face to face. The grants selection process, which amount to a total of 150,000 euros, will take place in competitive regime; the candidates with higher merits and skills will be selected. The unemployment condition of the interested persons will also be viewed favorably. Applications can be submitted until September 25, 2015. 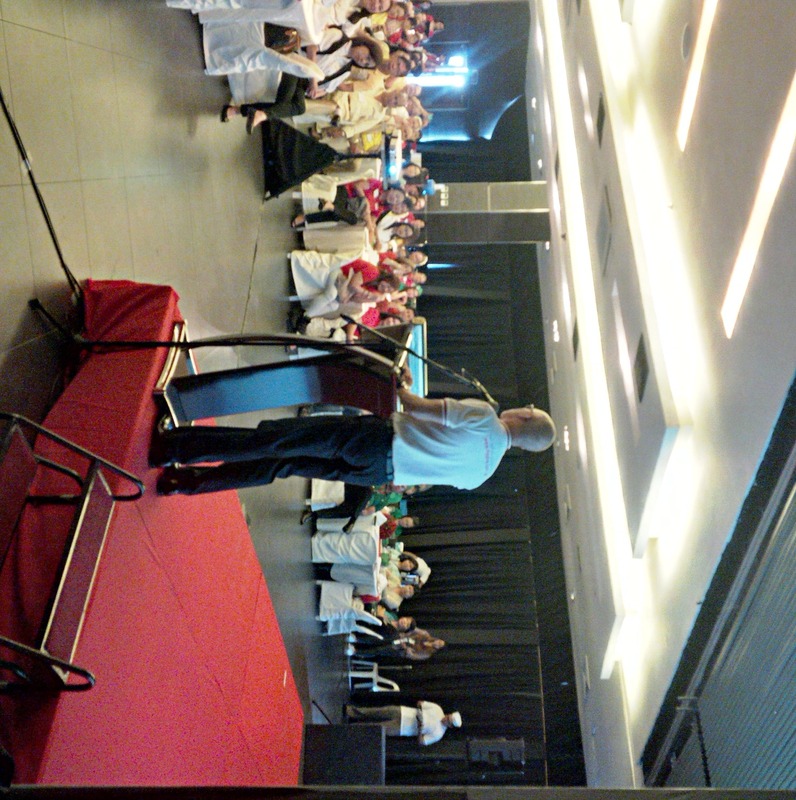 Last May and June 2015, MAPFRE Insular President and CEO Tirso Abad visited the Company’s Visayas and Mindanao offices. The round of visits, La Visita, which took place over a series of weeks, served as an introductory event of the new local head in the Philippines to MAPFRE Insular’s nationwide network of intermediaries. The visits allowed for intermediaries to get to know Tirso, his background with MAPFRE, his vision for the company, and their important role in the fulfillment of this vision – something exciting for them, intermediaries, to look forward to. 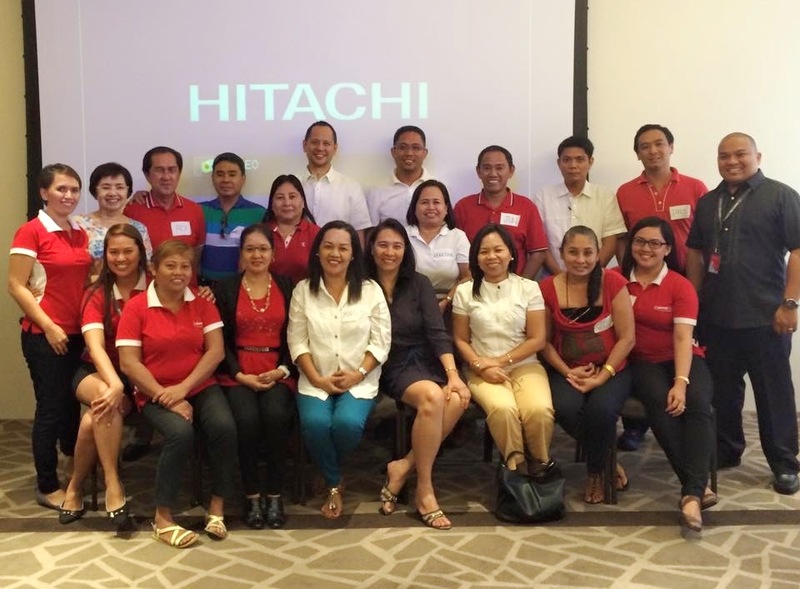 Alongside introducing Tirso to our loyal partners and intermediaries, the 2015 Sales Convention programs and initiatives were also rolled-out to the Vismin network. The current edition of the round the world race came to an end in Gothenburg (Sweden) with the last In-Port race. MAPFRE bids farewell to the general public with a podium finish (third), fulfilling their goal of beating Alvimedica to a fourth place overall standing in the Volvo Ocean Race. The Volvo Ocean Race final In-Port race officially finalised the overall competition classification. A magnificent effort from Iker Martínez’s crew, concluding with a fourth place for the Spanish team, just one point away from a podium position. The ninth leg, which finished in the Swedish city of Gothenburg, bids farewell to the offshore legs of the Volvo Ocean Race. The Spanish team, MAPFRE, claims their fourth podium position in this edition of the race, by overtaking Donfeng in the last mile up to line, to finish in third place. After nearly nine months and over 38,000 miles (over 70,300 km), the last leg of the Volvo Ocean Race finished in Gothenburg, Sweden. Light breezes meant a slow finish to the leg on the fleet’s final approach. MAPFRE bids the race farewell in good spirits with an exciting finish, claiming third place on the last mile of the leg. Having held on tight, the Spanish team found the perfect gust of wind to propel them to a podium position. “The end of the leg was a little like Maradona’s hand of god,” joked Iker, “We always have to fight right up to the end, and whether things are going well or not, we never give up until it’s over. 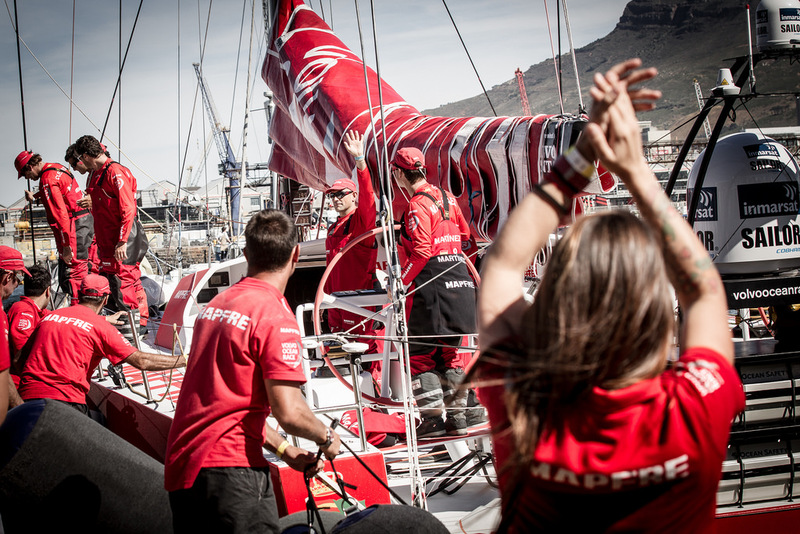 After so many miles we were able to overtake Dongfeng in the last mile because the wind dropped for them. It was a stroke of luck that we picked up some breeze and could make the most of it,” he explained. MAPFRE was able to move closer to Brunel, who also accelerated with a gust to lead them to second place, four minutes and 49 seconds ahead of the Spanish team who claimed third place form Lorient to Gothenburg after sailing four days, nine hours, 29 minutes and seven seconds. Even so, for Iker Martínez the position was a wonderful way for the team to finish. “The end was really exciting for many reasons. Firstly, because when the race is over there is always a feeling of sadness, but it is also happiness because when you start a project you do it wanting to finish. To get to the end with the boat and the whole crew is already a huge success. We are now much more competitive and a much better team than when we finished the first leg. That alone means that we should feel really satisfied,” concluded the skipper. On Saturday 27th June the competition will draw to its end with the last inshore race, which will decide fourth place on the overall leader board. MAPFRE and Alvimedica are currently drawn on 34 points. The classification of the coastal race will decide which team finishes the race in fourth place. The winners of the Volvo Ocean Race was Abu Dhabi, skippered by Ian Walker. For more information on the Volvo Ocean Race and MAPFRE’s journey, click here. Today, Thursday June 18, FUNDACIÓN MAPFRE presented its 2014 Social Outreach Awards, recognizing people and institutions that have made outstanding contributions to society, and which total 120,000 euros in prize money. The ceremony was presided over by Her Majesty Queen Sofía. The awards ceremony was attended by Susana Camarero, Secretary of State for Social Services and Equality, and by Antonio Huertas, President of FUNDACIÓN MAPFRE, who highlighted that these awards “aim to recognize the efforts made on a daily basis by individuals and institutions to improve the world in which we live”. For Antonio Huertas, “It is important that society is aware of these fine examples of effort, dedication, self-improvement and working for the good of others, as these winners show on a daily basis in their communities”. The “Jose Manuel Martinez Lifetime Achievement Award”, which recognizes an exemplary career at the service of society, was given this year to the Spanish tenor, Plácido Domingo. The jury recognized him for his great ability to move those who are privileged enough to see and hear him, his great generosity and commitment when it comes to supporting the needy and his outstanding personal involvement with young talent. The earthquake that shook the city of Mexico in 1985 and in which almost 30,000 people lost their lives was a noteworthy example of his generosity in caring for those affected. The tenor canceled his professional commitments, participated in the rescue work, provided housing for many families without resources and donated his earnings for the whole year to help alleviate the effects of this disaster. FUNDACIÓN MAPFRE also recognized at the awards, which received more than 450 submissions worldwide, the merits of the Colors of Calcutta Foundation. Established in 2006, the foundation received the award for the “Best Social Action” initiative for its “comprehensive health care program in the Pilkhana neighborhood in Calcutta”, which it carries out in the place known as the “City of Joy” that is home to 100,000 people living in extreme poverty. Together with its local collaborator, the Indian NGO Seva Sangh Samiti (created by local residents 48 years ago), the Colors of Calcutta Foundation executes this project via a medical center that attends to more than 25,000 people every year. Of these patients, 7,000 are children who benefit from pediatric, physical therapy and dental care. The invaluable work that people or institutions carry out to help prevent traffic accidents and their tragic consequences has also been the subject of praise. To recognize this effort, Her Majesty Queen Sofía, presented Youth for Road Safety (YOURS), headquartered in the Netherlands, with the award for the “Best Accident Prevention and Road Safety” initiative for its “Youth Capacity Development” program. This project, which will be extended to Spain and Latin America in the coming years, consists of something that is quite simple and yet very effective: turning young people themselves into protagonists, into accident prevention and road safety activists. This is always done with the aim of helping to reduce the more than 1,000 young lives that are cut short daily on roads around the globe. Young people were also the protagonists in the “Best Health Promotion” initiative award that Her Majesty Queen Sofía presented to the British charity Cardiac Risk in the Young (CRY), for its contribution to the prevention of sudden death from heart disease in young people, which affects about 600 people under 35 in the UK each year. 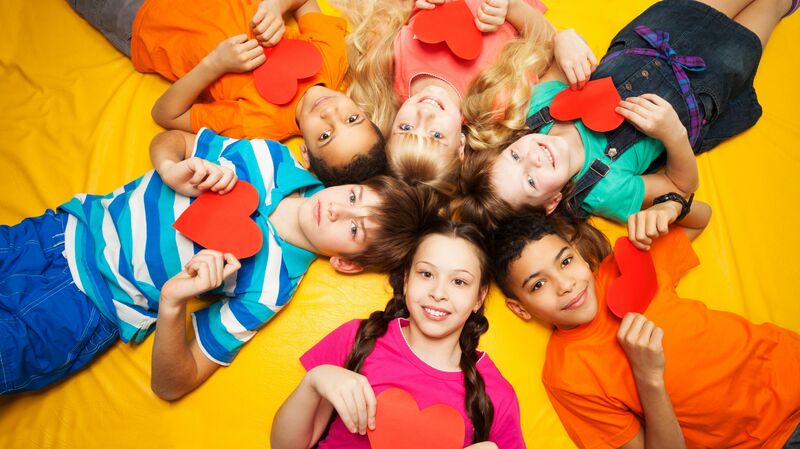 Since its creation in 1995, CRY, an organization funded entirely through modest private donations, has conducted examinations on over 70,000 young people and has identified more than 200 people with life-threatening heart disease. The awards ceremony, held in Madrid, was also attended by Susana Camarero, Secretary of State for Social Services and Equality, as well as leading figures from the social, cultural, political and business worlds. 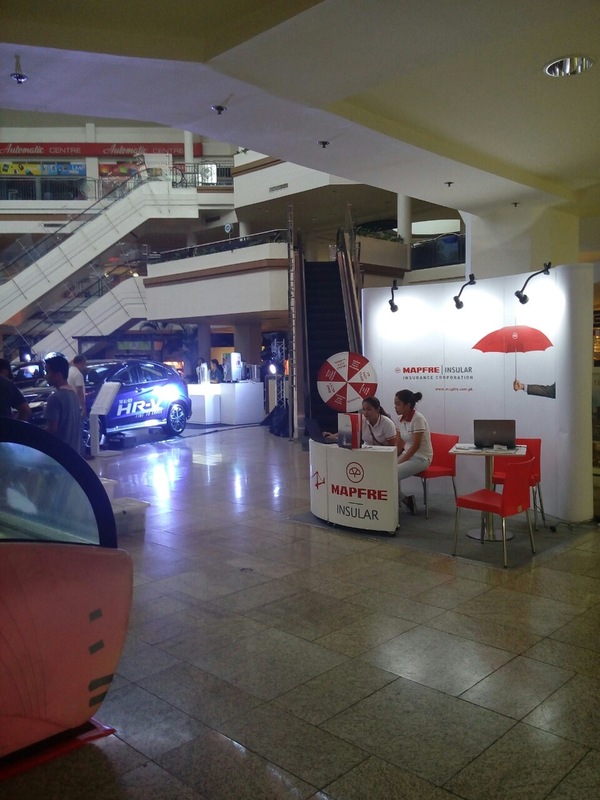 Last weekend, from June 19-21, 2015, MAPFRE Insular participated in a weekend-long event at the Alabang Town Center mall, Muntinlupa City. This activity, one among others, is part of MAPFRE Insular’s initiative for increased brand visibility among the local communities in which it operates and increased opportunities for encounters with its consumers. In the event, MAPFRE Insular offered to passers-by and mall go-ers retail packaged products that suit their various needs. These include car, home, travel and accident insurance packaged products. And because it was also Father’s Day weekend, special gifts and prize were given to fathers. 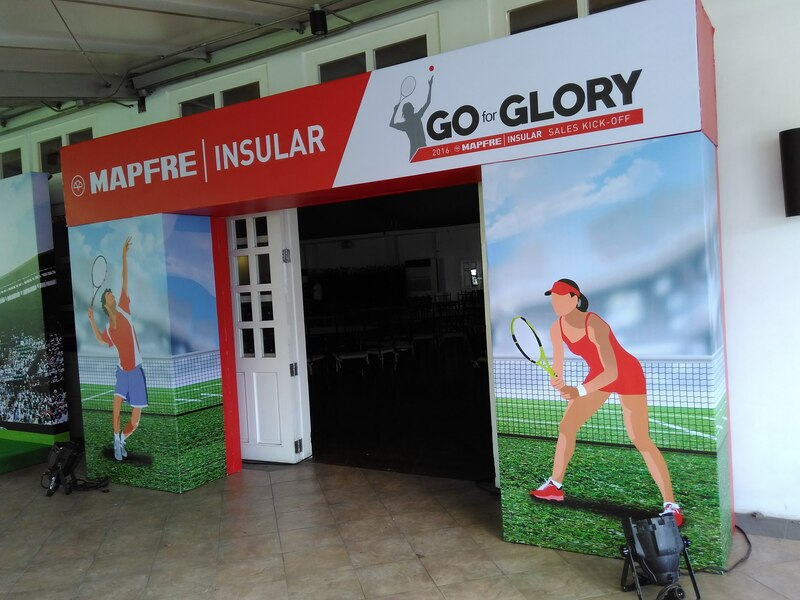 Watch out for the next MAPFRE Insular booth in a mall or event near you! The Spanish boat, skippered by Iker Martínez, started the last leg of the Volvo Ocean Race on June 16, which runs from Brittany (France) to Sweden, and includes a 24-hour pit stop in the Hague (Holland). Eight months since the start of the adventure in Alicante, the ninth and last leg of the Volvo Ocean Race 2014-2015 recently began in Lorient (France), with a good start for the Spanish team MAPFRE. After the windward leeward circuit the fleet set off for Leg 9 with the Spanish in second place, 28 seconds behind Dutch team Brunel, who also led during the circuit. The fleet nudged for their places on the start line with a Westerly wind of 11 knots, and at 15:00 UTC the fleet set off for the last leg of the race. SCA and Alvimedica were early at the start and penalized with an extra turn. Whilst the fleet gathered on the Committee side, MAPFRE went solo to the pin and found its place. With Iker Martinez once again at the helm, the Spanish team started the first stage of the 960-mile leg (which includes a 24 hour pitstop in the Hague) in sound fashion. After the five ‘laps’ of the circuit, the fleet rounded the Lorient mark and headed off with Brunel in the lead followed by MAPFRE, Vestas, Dongfeng, Abu Dhabi, SCA and Alvimedica. The fleet then headed south towards the Bay of Quiberon. “This will be a sprint and we are not likely to get a lot of sleep, so we will need to know how to pace ourselves, so we can push hard when we need to do so,” explained Cuervas-Mons. The fleet are predicted to take about two and a half days to cross the so-called time gate at the Hague, where each boat’s arrival times will be registered. The the fleet will leave in exactly the same order of arrival at midday on Saturday 20th June, en route to Gothenburg (Sweden). To click here to read the full article OR follow MAPFRE throughout the race through this site. FUNDACIÓN MAPFRE showcases it’s newest and much anticipated website www.formandocomunidad.fundacionmapfre.org, with the main goal of making society aware of one of its most ambitious international projects, “Formando Comunidad”. Over the past years Formando Comunidad has promoted 107 cooperation programs in 23 countries in order to improve education, nutrition, health and access to the employment market for 105,000 children and young people experiencing poverty and social exclusion. This new digital space is also designed to promote closeness between entities, volunteers and beneficiaries of the programs, as well as provide updated information regarding each one of these projects alongside a photo gallery of the most relevant activities with direct access to the social profiles of each one of the programs. One such program is “Comunidad MAPFRE-Universidad Panamericana”, a social center that was recently opened by FUNDACIÓN MAPFRE in Mexico, which over the course of this year will help 5,000 individuals with low income from Santa Fe, an area with a high rate of social exclusion. The social center will provide food, education, healthcare, legal support and psychological counseling. 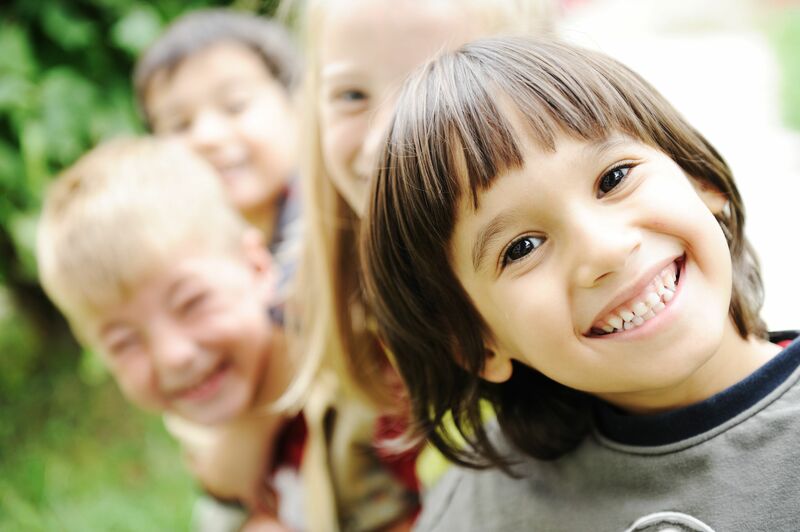 The new website will focus particularly on childhood and education, two of FUNDACIÓN MAPFRE’s core concerns. In this regard, it will provide educational content with the main purpose of contributing to the prevention of school failure and dropouts. Fore more information, click here or directly visit the Formando Comunidad website, www.formandocomunidad.fundacionmapfre.org . MAPFRE finishes Leg 7 in Second Place after nine days, 11 hours, 31 minutes and 39 seconds. It is the third podium finish in this Volvo Ocean Race for the Spanish team, which includes British sailor Rob Greenhalgh among its ranks. After 9 days, 11, hours 31 minutes and 39 seconds MAPFRE crossed the finish line in Lisbon, the finishing port for this great leg across the Atlantic in this edition of the Volvo Ocean Race. A magnificentsecond place for Iker Martínez and his crew, who completed leg 7, from the United States to Portugal, at 5:31 UTC. Brunel were the winning team over the line 21 minutes and 50 seconds ahead of MAPFRE. Alvimedica finished third after overtaking Dongfeng, with just 55 seconds separating both teams. Behind them Abu Dhabi and SCA were last across the line. The leading pack reached the exclusion zone for maritime traffic and opted to head south, but as they approached the end of the area, the wind dropped and the distance between the leaders and MAPFRE dwindled to a little over a mile. About four miles away from the finish, Iker Martinez’s crew was just two miles behind Bekking and the Brunel crew, whilst Dongfeng was left stranded without breeze. But at a race like this, anything is possible. 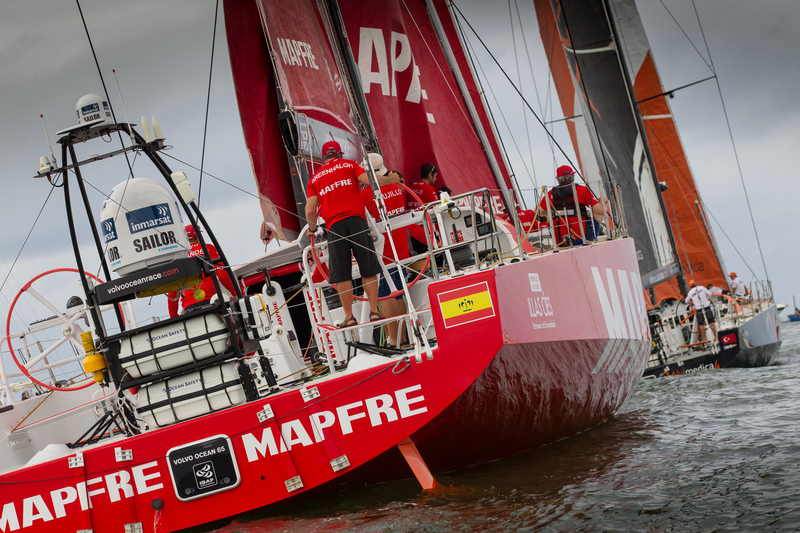 In a radio interview with Fran Vignale, MAPFRE’s onboard reporter, he explained that when the team was heading to the entrance of the River Tajo there was still a great chance they would be left without wind. Past experiences in previous races meant the team had to have the anchor ready. Fortunately in this case, the provision proved unnecessary. The wind finally picked up and Brunel set off and finished Leg 7 in first place. MAPFRE managed to hang on to their place at second until the finish line. Read the full article here and follow the MAPFRE Team through this website. 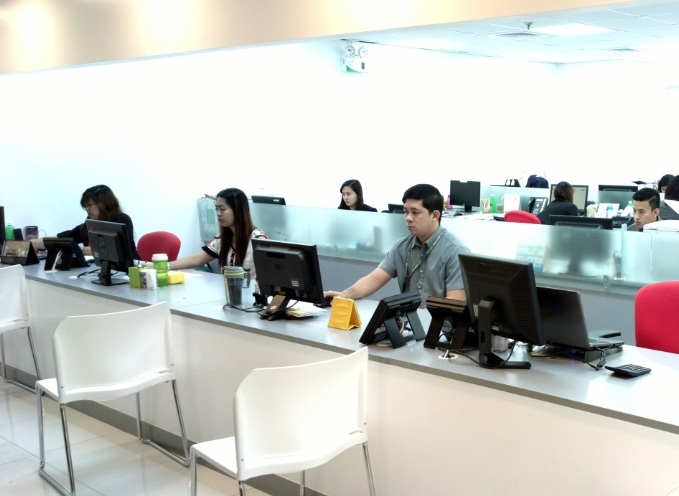 Effective June 8, 2015 the Makati Branch Office will be moving to a new location. Below are the new address and contact details of the office. 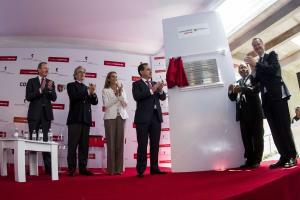 Antonio Huertas, Chairman and CEO of MAPFRE, and José Antonio Lozano Díez, Dean of the UP-IPADE Network, open the MAPFRE-Universidad Panamericana Community Center, which will offer food, education, healthcare, legal support and psychological counseling in an area with a high rate of social exclusion. Mexico D.F., May 12, 2015. Today FUNDACIÓN MAPFRE and Universidad Panamericana opened the “MAPFRE-Universidad Panamericana Community Center”, a 1,600-square-meter space, which this year alone is set to address the needs of 5,000 underprivileged people in this region, home to 750,000 Mexicans of whom three in ten live in poverty and 18,000 in extreme poverty. Funded and administered by FUNDACIÓN MAPFRE and Fundación UP-IPADE, the center will be run by Universidad Panamericana professionals and more than 400 volunteers from the two institutions, providing basic food, healthcare, vocational training, psychological counseling and legal advice to the beneficiaries. FUNDACIÓN MAPFRE is an institution deeply committed to society. Its principal mission is to improve the economic and social conditions of the most disadvantaged people and sectors of society, disseminate culture, fine arts and literature, and encourage the safety of people and their assets, with a particular focus on road safety, prevention and health promotion. During the course of 2014, the foundation organized more than 25 social projects in Mexico, which benefited more than 350,000 people and represented an investment in excess of 33 million pesos. UNIVERSIDAD PANAMERICANA. For over 45 years Universidad Panamericana has been forging a reputation as a higher education institution known for its solid academic programs, scientific rigor and Christian humanist values based on the quest to find and uphold truth. Spread across three campuses (Mexico D.F., Guadalajara and Aguascalientes), the university contributes to the training of more than 7,000 students enrolled in degree programs. Its main outreach initiatives include the construction of rural homes for the indigenous population, entrepreneurial projects with women, and advice and job boards for people with disabilities. FUNDACIÓN UP-IPADE was created in 2011 to build alliances and obtain funding to further the educational, cultural, social and environmental aims of the UP and IPADE, with a special focus on Mexico. 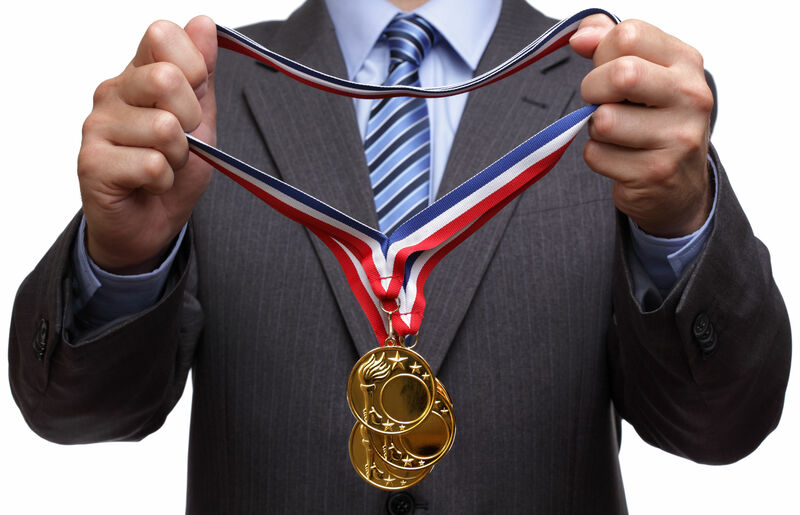 FUNDACIÓN MAPFRE has announced its 2014 Social Awards. These international prizes recognize people and institutions that have made outstanding contributions for the benefit of society in the scientific, cultural and social fields. The prize money for each of these awards is 30,000 euros and they will be given on Thursday, June 18 at a ceremony chaired by Her Majesty Queen Sofía to be held at the Casino of Madrid. FUNDACIÓN MAPFRE has awarded this prize to Plácido Domingo (Madrid, 1941), the Spanish tenor, orchestra conductor, producer and composer, in recognition of “a fruitful and exemplary career at the service of society and people”. FUNDACIÓN MAPFRE has awarded this recognition to the Colores de Calcuta Foundation, a non-profit organization based in Madrid. The award recognizes the merits of a person or organization that performs an outstanding and effective social action for the benefit of the most disadvantaged people. FUNDACIÓN MAPFRE has awarded this prize, which recognizes the significant contribution of an organization to the promotion of health and the improvement of the quality of life, to Cardiac Risk in the Young (CRY), a UK-based organization devoted to researching and preventing cardiovascular diseases that in recent years has saved the lives of many young people who could have suffered an episode of sudden cardiac death. FUNDACIÓN MAPFRE has awarded this prize, which recognizes the relevant contribution made by an organization to the prevention and reduction of traffic accidents, to YOURS (Youth for Road Safety), an organization based in Holland. 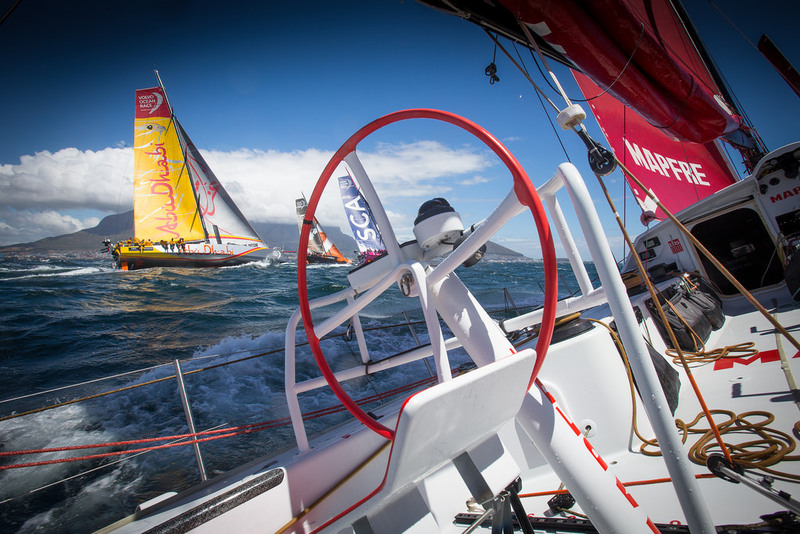 The sixth leg of the Volvo Ocean Race began last April 19. The crowd cheered as the boats left Brazil in good weather conditions. At the onset of the race, an in-land course of 5 laps had to be completed. However, due to the almost non-existent wind, the Race Committee agreed to reduce this to just one lap and proceed off-shore. SCA and Alvimedica were initially leading. 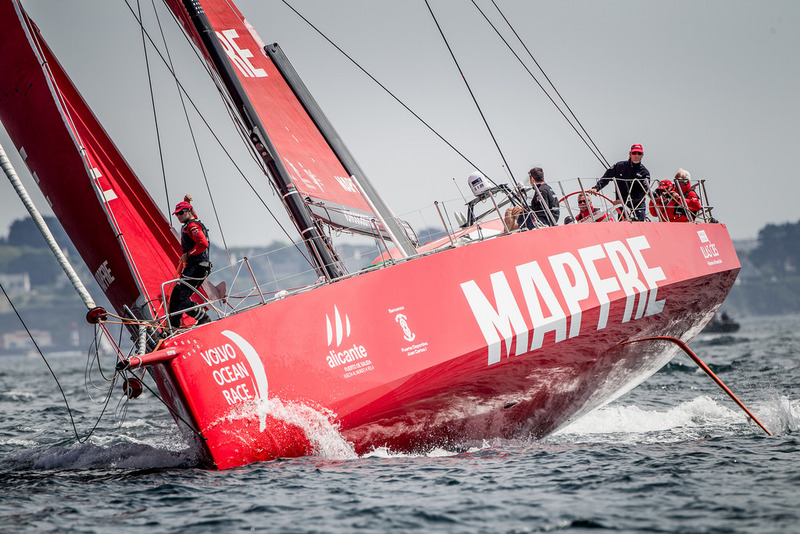 MAPFRE slowly came back from behind, fighting hard into second place at the mark. Alvimedica, the Turkish-American team, left Brazil as leaders en route to Newport. Read more on the MAPFRE team. View the full article here. In 2014 nearly 2,500 volunteers took part in one of the 513 acts of solidarity aimed at helping those most in need and vulnerable in society. One of the main challenges for the company over the next few years is to become a global example of charitable collaboration. The MAPFRE corporate volunteer program ended 2014 with a total of 725,020 direct beneficiaries, which represents an 816 percent increase over the previous year. In 2014, a total of 52,066 participations were recorded in the 513 activities completed by the 2,465 MAPFRE volunteers, a group composed of employees, family members, delegates, agents and clients of the Group, and coming from 21 countries in America, Asia and Europe. In 2014 MAPFRE volunteers dedicated more than 8,837 hours to activities related to four main areas, nutrition, health, education and assistance in emergencies, thus strengthening the commitment to individual responsibility by those who, together with MAPFRE, are an integral part of the communities in which they are present. 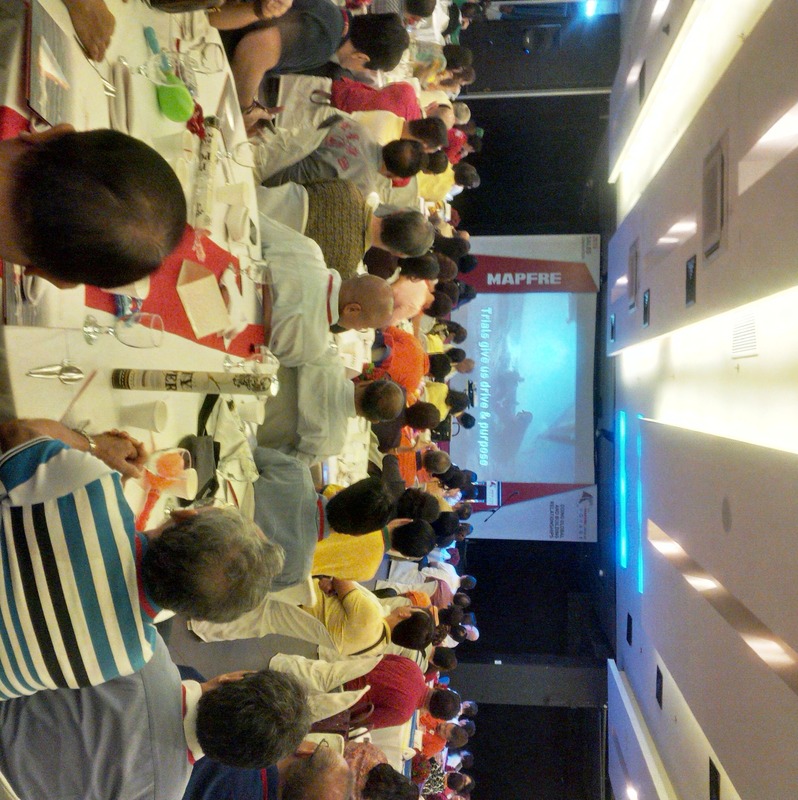 Over 200 intermediaries attended the MAPFRE Insular 2015 Sales Convention held last March 26, 2015 at the Manila Ocean Park. 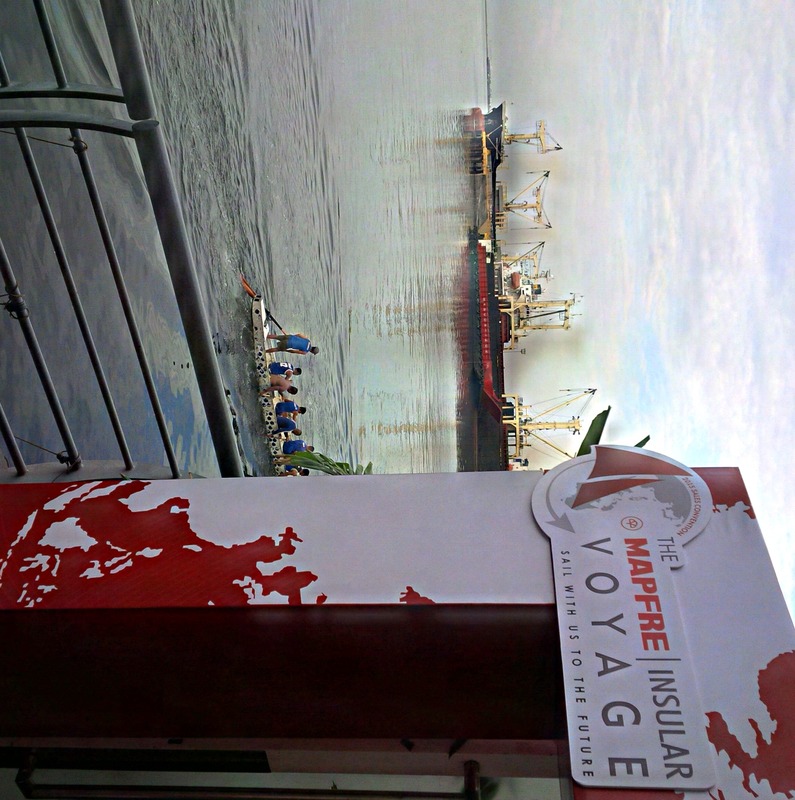 The event was themed after the famed Desafio MAPFRE, a sailing boat and team sponsored by MAPFRE participating in the Volvo Ocean Race, a sailing race that takes place around the world. 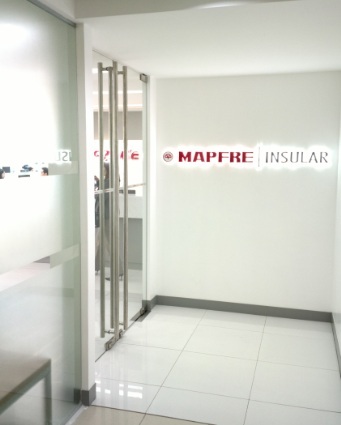 The theme highlights MAPFRE Insular’s move towards alignment with the MAPFRE Group of countries in becoming the global leading innovator in the insurance industry. The theme also gives strong relevance to service and teamwork, two critical traits for a successful voyage that MAPFRE Insular aims to instill in it’s team of employees and intermediaries. 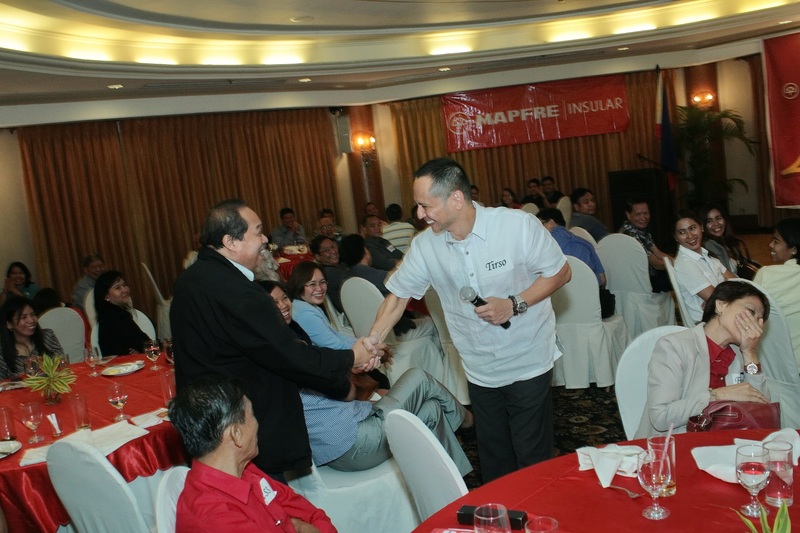 During the first part of the program, MAPFRE Insular presented the latest programs, products and innovations that the company will be launching this 2015. The second part of the program consisted of the awarding of the 2014 Top Producers and a short game for the intermediaries. For more pictures, check out official Instagram account for the 2015 Sales Convention. 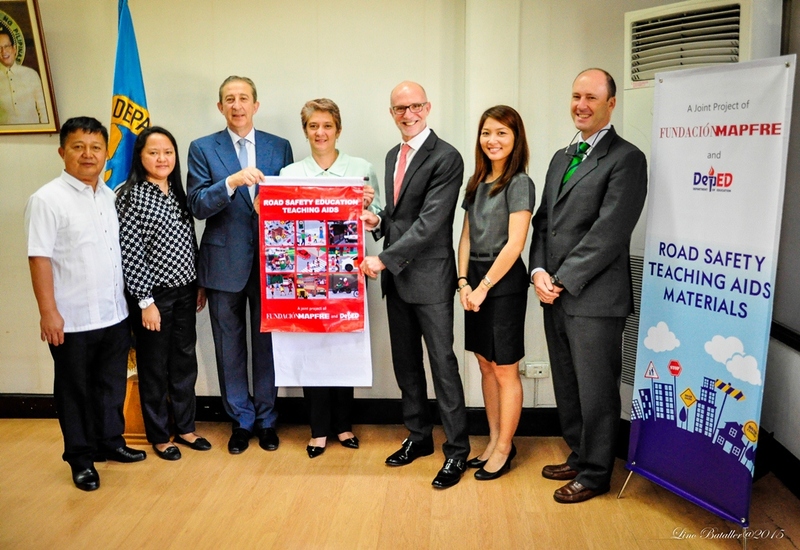 The turn-over of Road Safety Teaching Aids for Public Elementary Schools to the Department of Education (DepED). DepEd together with the Spanish Embassy in partnership with Fundacion Mapfre through Mapfre Insular are working together for an advocacy on Road Safety Awareness. Together, their goal is to make available educational materials for 47,000 public elementary and high schools nationwide. 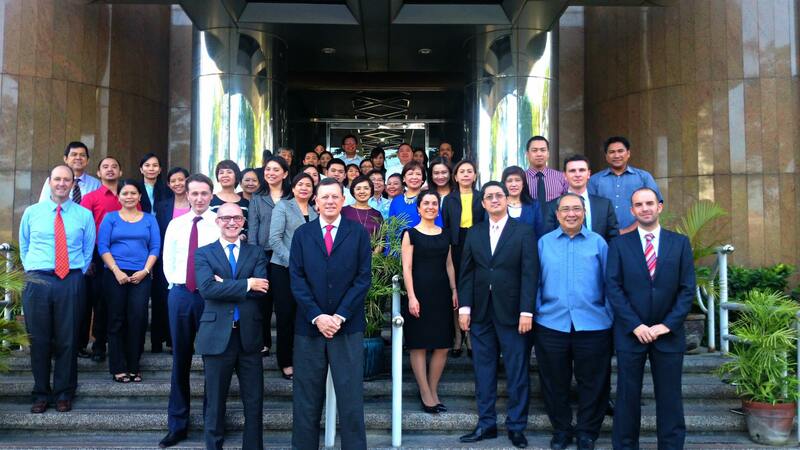 Spanish Ambassador to the Philippines, H.E. Luis Antonio Calvo, with DepEd Undersecretary of Programs and Projects Dina Ocampo, and Mapfre Insular president and CEO, Javier Warleta, initiated the turnover of Road Safety Teaching Aids for public elementary schools in the country, between Fundacion Mapfre and the Department of Education (DepEd). 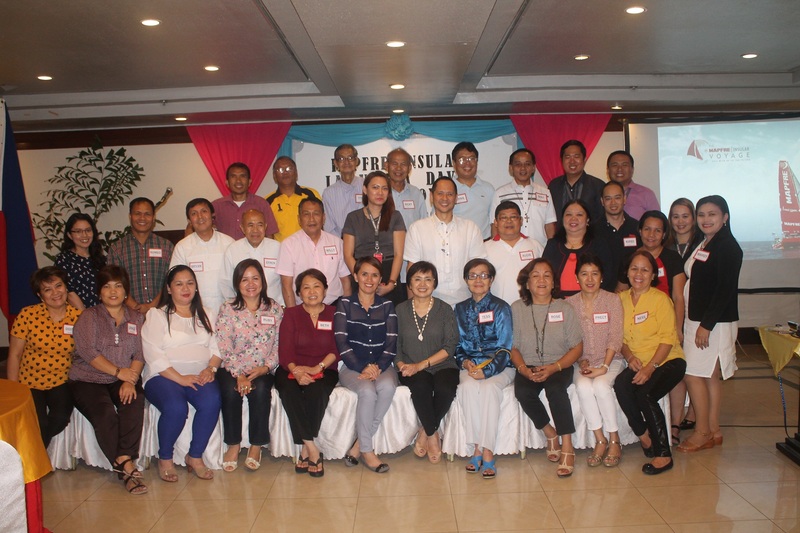 The materials were given to improve the teaching-learning process in schools so that students may be aware of how to safely navigate Philippine roads, particularly the busy streets of the metro. Soft copies of the program’s materials will be stored in the DepEd Portal to provide easier access for the teachers. 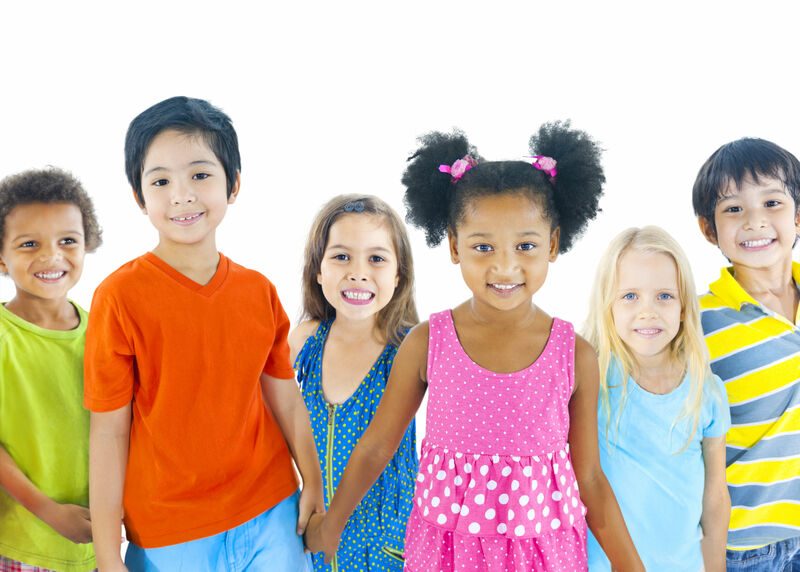 Ultimately, the goal is to reach out to 47,000 schools nationwide—both in the elementary and secondary levels. On top of raising awareness among the youth, DepEd, Mapfre, and the Spanish Embassy would like to extend road safety consciousness to adults as well, since they are the members of society who use the roads more often. DepEd recognizes that changes will come faster if adults lead by example. As a start, teachers must be able to learn from the program and share it with their students and families.The Spanish Ministry of Education and Embassy have worked closely with DepEd on special programs, and are thus very supportive of the project. The collaborators would like to emphasize safety as a way of life. 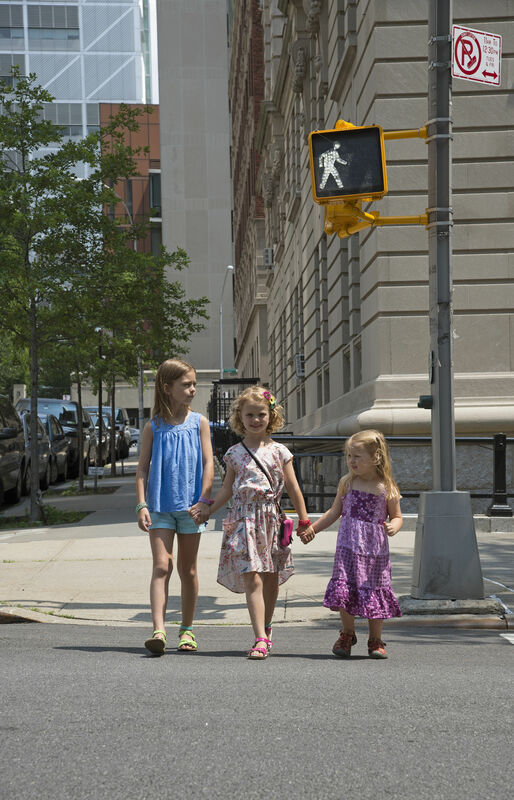 They believe that values and health education are as important as traffic and car safety principles. Fundacion Mapfre, the corporate social responsibility arm of MAPFRE S.A., a leading Spanish insurance multinational company, operating in the Philippines through Mapfre Insular, has been working with the Department of Education since 2011, developing modules in two learning areas: Araling Panlipunan and Edukasyon sa Pagpapakatao. Since then, road safety has been taught in at least two thousand schools nationwide. 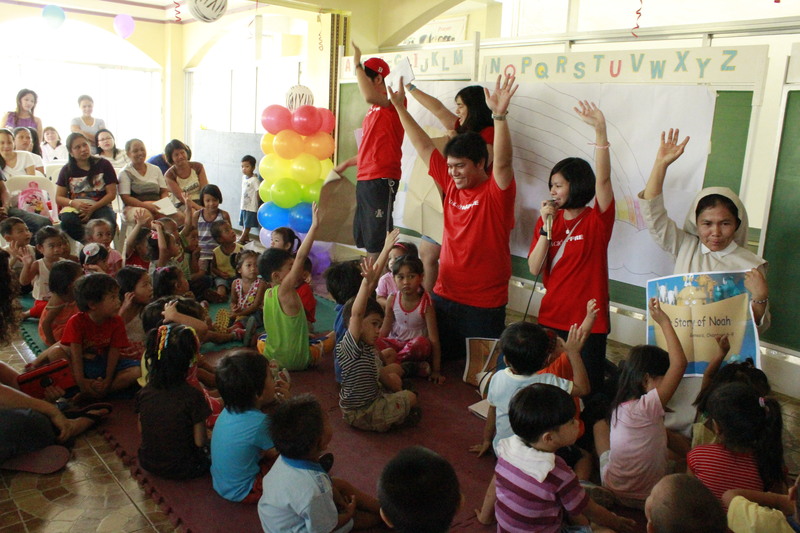 Beginning this March 2015, teaching aids will be distributed and used in schools. The Spanish boat from the Real Club Naútico de Sanxenxo, skippered by the Olympic Champion Xabi Fernández, wins the fourth leg of the Volvo Ocean Race. 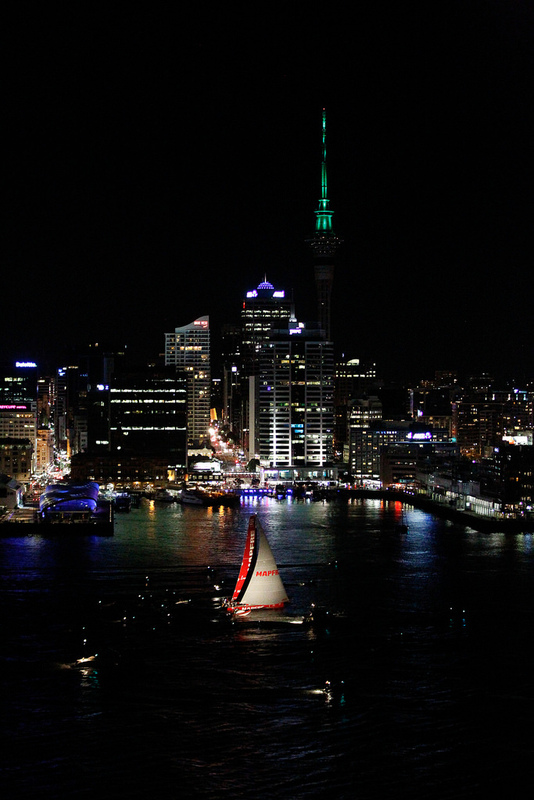 Hundreds of sailing fans gatheres in Auckland to receive the winners of the fourth leg of the Volvo Ocean Race. The Spanish team “MAPFRE”skippered by two-time Olympic medalist Xabi Fernandez, crossed the finish line at 22.31 h local time coming from China, traversing over 5,264 miles in 20 days, 2 hours, 31 minutes and 20 seconds. MAPFRE won the leg with an advantage of 4 minutes and 25 seconds over Abu Dhabi and 8 minutes and 2 seconds ahead of Dongfeng, second and third place respectively. “After three legs where we have been working on our route, but which was also proving pretty tough, we really needed this result. It was the podium we were after come what may, so having won the leg is even better,” declared an absolutely delighted Xavi Fernández, skipper of MAPFRE, in replacement of Iker Martínez (who will arrive in Auckland on the 8th March). MAPFRE made it’s way to the lead at 16.00 h UTC on Friday. The Spanish team swiped first place from Abu Dhabi, battling hard to stay ahead of them along the east coast of New Zealand until their arrival in Auckland. “We had been leading for little over 24 hours but were just one mile ahead of two boats that we know are very fast,” elaborated Cantabria-born Ñeti Cuervas-Mons. “The final has been incredibly tight, with little wind and the other boats putting pressure on us, and it wasn’t until the very last five minutes that we knew we were going to win the leg. The whole team has worked for it. Being first into New Zealand is incredible and for me it’s the second time (in the last edition with Groupama, the winning boat for the same leg) so I’m really enjoying this moment, and even more than the first time,” as enthusiastically narrated by Jean Luc Nelias. 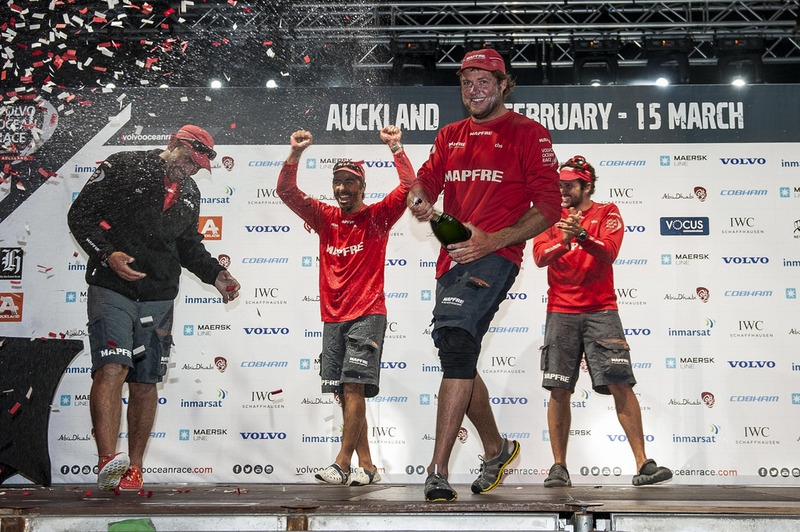 For more on on the Volvo Ocean race and MAPFRE’s win in New Zealand, visit the official site. Rafael Beca Borrego has been appointed Supervising Director, and recent amendments to the Spanish Companies Act have been incorporated to improve Corporate Governance. During a recent meeting, the MAPFRE Board of Directors has approved a new Board of Directors Regulation that includes the latest amendments to the Spanish Companies Act in relation to good corporate governance. This Regulation also includes some of the trends that may be included in the revised version of the Unified Code of Good Governance, which is currently being prepared by the Spanish National Securities and Exchange Commission (the “CNMV”) in Spain. Rafael Beca Borrego has been appointed Supervising Director in compliance with the new requirement set out in the Spanish Corporations Act. Rafael Beca has been an independent director since December 29, 2006. Remuneration Committee. This committee will be chaired by an independent director, Luis Iturbe, who has been a Board Member until now; Adriana Casademont, also an independent director, will become a Board Member. Directors with a minimum of ten annual meetings, instead of the previous six. They also include new responsibilities for the Compliance Committee connected with risk management; consequently, this committee will now be called Risk and Compliance Committee. There is also a reduction in the number of members of delegate bodies. 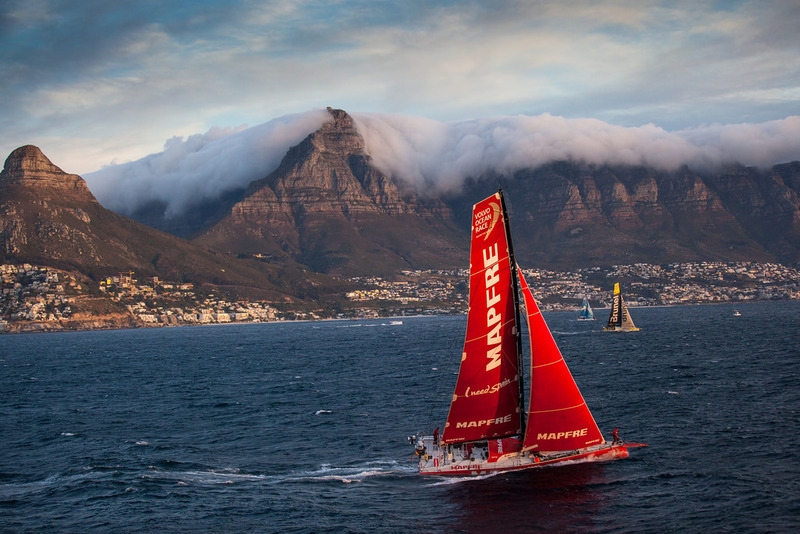 MAPFRE faced challenges at the beginning of Leg 3 of the Volvo Ocean race this January 2015. The team first met harsh conditions in Abu Dhabi characterized by intense fog and little wind. 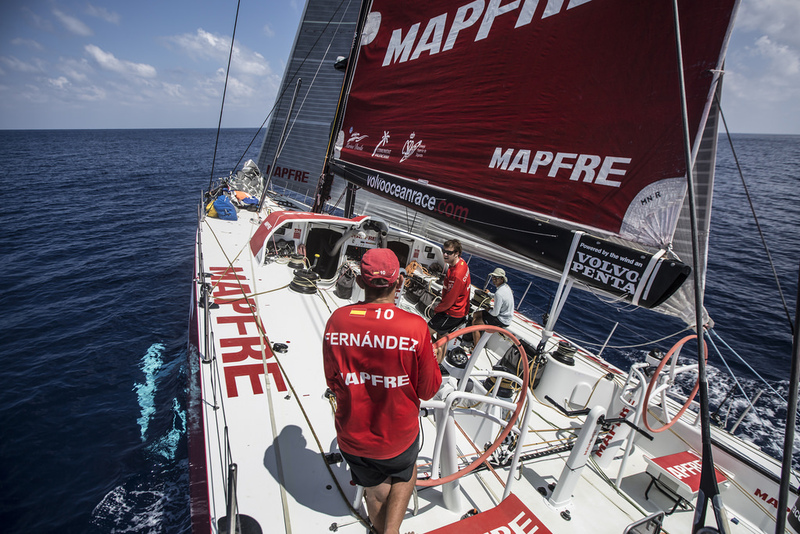 MAPFRE was back at one hundred percent by the time the team reached the Arabian Sea but yet again faced another challenge, unstable and light wind, followed by the possibility of wind shadows in the passage of Sri Lanka. 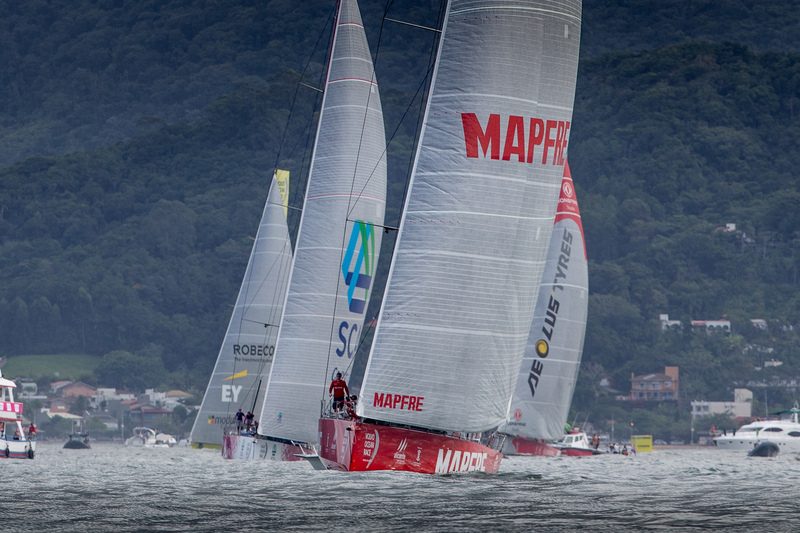 MAPFRE focused into winning South and gradually began to recover positions. After a week of sailing the Spaniards were fourth. 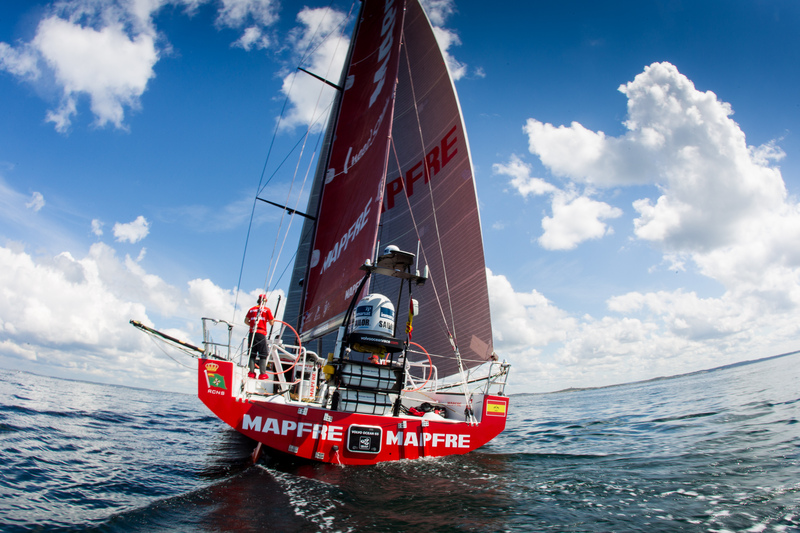 The wind began to rise and MAPFRE took advantage of this situation to get closer to the leader “Dongfeng”. MAPFRE now heads towards a feared strait on the passage of Sri Lanka, where there is an area without any wind, 250 nm ahead of them, and they do it in second place. 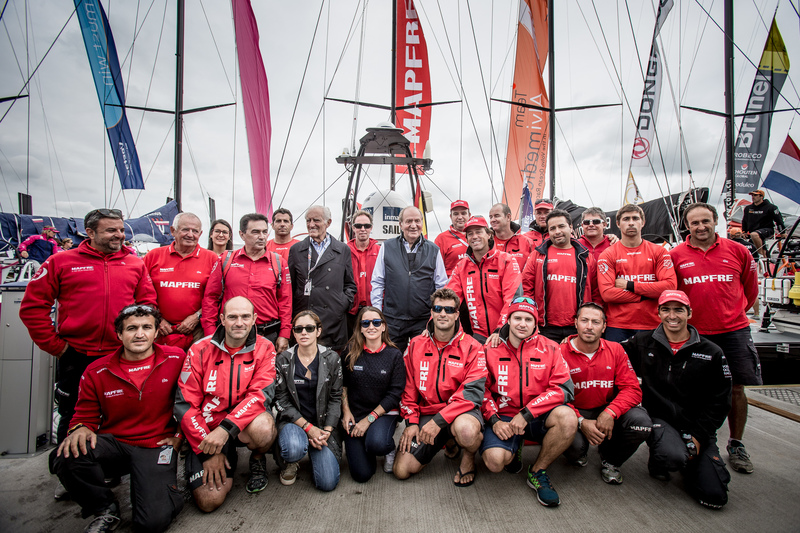 Read the full article here and keep up with the MAPFRE team by following their official website. A common cliché to our knowledge is that life has its ups and downs. There are times when it seems like the odds are in our favour or the gods are smiling down on us. While in contrast, other times, we feel as though the weight of the world is on our shoulders and that we have reached the pit of all pits. We never know when we will be in which position, and how long it will take before the tides take a positive turn. Isagani Paglicauan, a MAPFRE Insular agent from the Lipa Branch, was not exempt from this. In fact, he went through one obstacle that did not only entail his perseverance to overcome; rather, his whole family took part in braving that exceptional hurdle. From that very low point in his life, he is now thankful that he is riding on one of the higher waves in the adventure that is Life. Gani, the nickname fellow MAPFRE employees fondly know him by, is a mechanical engineer from Banaba, Batangas. His younger years were spent in the Kingdom of Saudi Arabia, where he practiced his engineering degree as a superintendent at a large company in Jeddah. It was there that Gani faced that big dip in his life that was surpassed only with the united effort of his whole family. While in Jeddah, Gani had a mild stroke. 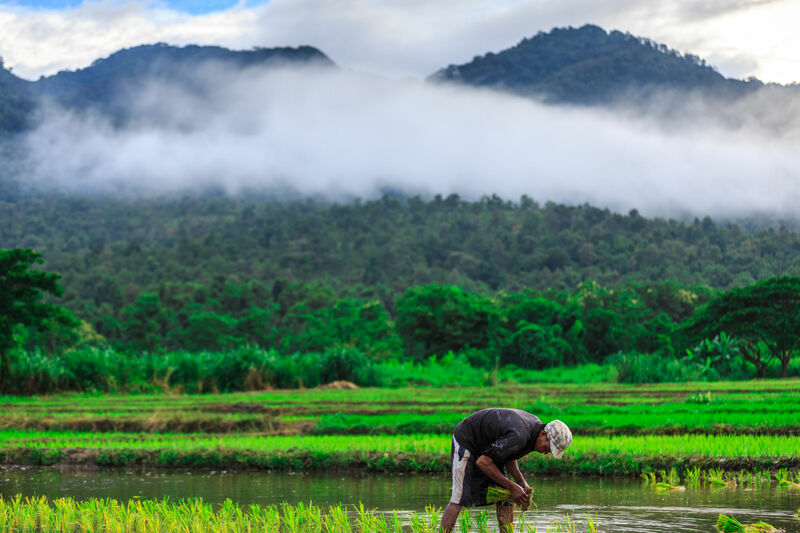 He had to leave his job and seek medical attention back in the Philippines. “Bumalik na ako sa Pilipinas na naka-wheelchair,” he reacounts. “Isang buwan ako sa Philippine General Hospital (PGH) para magpagaling. Tapos nagkasakit rin asawa ko at kinailangan na operahan. Halos lahat ng kinita ko sa abroad ay naubos rin sa pagpapagaling namin. Mabigat ang pinagdaanan namin ng asawa ko.” (I came back to the Philippines in a wheelchair. I stayed in PGH for one month in order to recover. Then my wife got sick too and needed an operation. Most of my savings from working abroad were spent paying for our hospital and medical expenses. My wife and I really went through a tough time.) This is Gani’s greatest challenge to date. Gani and his wife sold some of their inheritance and items they had to spare to make ends meet and as soon as his eldest child graduated, she started working and assisted in daily provisional needs and in education needs for the other two siblings. The same went for Gani’s second child until finally, his youngest graduated from college. All this three children are now working young professionals. He proudly says his greatest milestone is overcoming this chapter in his life with his family by his side. Together, they strived hard and long to reach safe ground, without dwindling spirits. They knew that for as long as they kept positive and determined, what they were experiencing will come to pass. There were two driving forces for Gani and his family. First, they never lost faith. “Hindi ka naman pababayaan ni God,” he affirms. This trust in the Lord kept allowed them to remain strong-willed. And second, he and his family focused on one goal, exerted all their effort in achieving this goal, and patiently awaited the result of their hard work: the rising wave that led to their resurface from the fall. Gani tells us, “Dapat mag-focus lagi. Pati sa mga anak ko, sinasabi ko na mag-focus sa isang bagay na para sa ikabubuti mo.” (One must always focus on a single goal that will be to your benefit or improvement. I always tell this to my kids.) This practice, that has guided Gani through the rolling ups and downs of life, extends to each and every endeavour he undertakes. He annotates that this is the same principle that has helped him attaining his current client portfolio. He devoted his time and effort into building his insurance business. Today Gani’s is busy with his many small business activities. He put up a “tindahan” (small store) in and small dormitory in his home, both of which he manages and supervises closely. And of course, he is a loyal MAPFRE agent of the Lipa branch with a healthy portfolio. He remains motivated and optimistic through his daily endeavours and he is grateful that he is still able to work despite the physical remnants of his mild stroke. “Nagagamit ko pa utak ko, nakakapagtrabaho pa ako and sa ganito at hawak ko oras ko”, he proudly states. (I am still able enough to make use of my capabilities, to work and to manage my time freely.) He may be on the more favourable part of the ride of Life but his principle remains and he still has targets to which he channels much of his efforts. The next target in fact, he says, is to further to expand his non-life insurance clientele and portfolio. Whether one is sitting on the high side of Life, or is facing challenges on the low, Gani shows us that focus, perseverance and patience are the key ingredients in order to Bring It On, no matter what Life may throw at you. FUNDACIÓN MAPFRE presented the “Juega Seguro” campaign last December 3 in Madrid. In collaboration with FIFA, Ripoll y de Prado FIFA Medical Center of Excellence and the Spanish Society for Emergency Medicine (SEMES), this project aims to carry out different activities intended to encourage the prevention of sudden death in sports. This incidence is the cause of an estimated 100-120 deaths in Spain every year among people who play sport intensively. Internationally, there can be up to one case a month among professional soccer players. 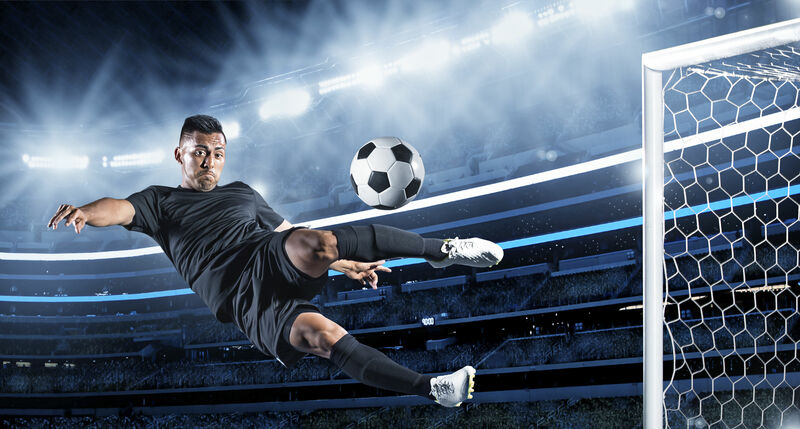 This campaign forms part of the FIFA/F-MARC program, and is supported by a team of well-known soccer players, managers and top referees who are directly or indirectly linked to cardiac emergency situations. This ambitious project includes the image and voice of Paco Alcácer, Kameni, Sergio Sánchez, Joaquín Caparrós, Edu Albacar, Rubén de la Red, Sergio Ramos, José Antonio Camacho, Turienzo Álvarez and Sonia Bermúdez, among others. Its aim is to reach millions of people, mainly linked to the world of soccer. Antonio Huertas, Chairman of FUNDACIÓN MAPFRE; José Antonio Camacho, “manager” of the “Juega Seguro” team; Pedro Ripoll, Director of the Ripoll y de Prado FIFA Medical Center of Excellence; and Efraim Kramer, Manager of the FIFA Emergency Medicine Division all attended the event where the “CPR 11” app was revealed. CPR stands for “Cardiopulmonary resuscitation”, and 11 refers to the 11 steps recommended by the application. Including universal, easy-to-understand content in both Spanish and English, the app shows how to perform resuscitation in case of cardiac arrest and how to stabilize the victim until the emergency services arrive. Its sole objective is to save lives. Antonio Huertas stressed during the event that this campaign aims to “raise awareness both among the main sports actors and society in general about how important prevention and a healthy lifestyle are, and how we need to control the risk factors that may lead to an ischemic condition.” Mr. Huertas also stated that “care in the first minutes after a cardiac arrest is essential for survival and to reduce its lasting effects”. FUNDACIÓN MAPFRE will be having the following four categories for the 2014 Social Awards. This award is granted in recognition of a person over 70 years of age for his/her successful and exemplary professional life at the service of people and society. This award aims to recognize a relevant contribution by entities or people in the prevention of risks or accidents and in health promotion. This award is to reward the merits of a person or entity who/which carries out an outstanding and effective social initiative in benefit of underprivileged people. This award aims to recognize a relevant contribution by entities or people in the prevention and reduction of traffic accidents. For more information, visit the FUNDACIÓN MAPFRE site. 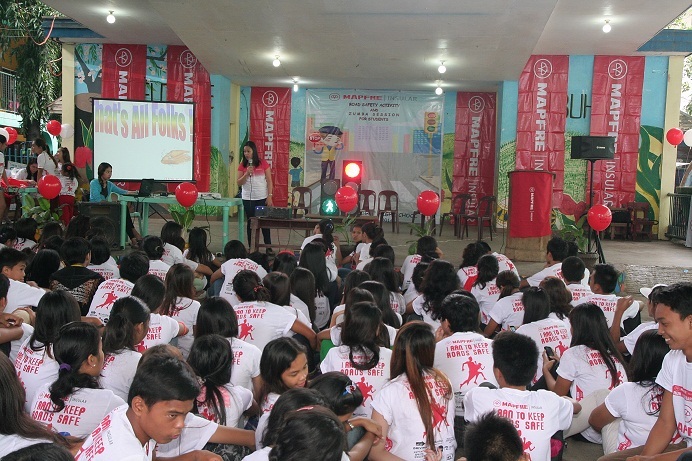 As an accompaniment to the Run for Road Safety 2014, MAPFRE Insular held an event for Road Safety awareness last November 29, 2014 at Inayawan Night High School, Cebu City. In cooperation with the principal, Ms. Ma. Lourdes Jaca, the event was attended by more than 700 students. A talk was provided by the Head of Operations of Cebu City Traffic Operations Management (CITOM), Jonathan Tumulak, incorporated with other road safety tips by Traffic Educators, Amy Maestrado and Marie Labitad. 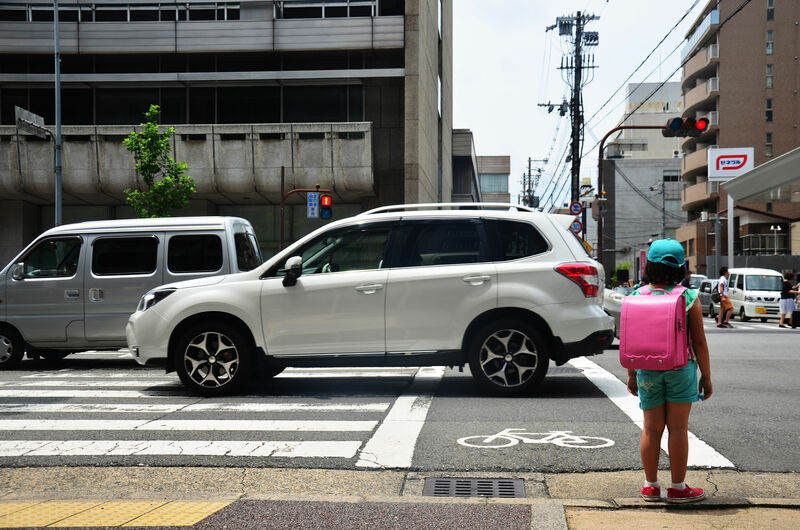 MAPFRE helps provide road safety education and awareness for road users especially to students to encourage safer road usage behavior and to reduce the number of people killed and injured on our roads every year. From 2007 to 2014, 372 casualties have been recorded in Cebu City. 70% of these were due to human error and due to driver error. Caution is encouraged in order for such accidents to be avoided, especially among students. Basic traffic tules were highlighted during the event such as the meaning of the stop lights, PUJ stops, jaywalking, pedestrian lanes and the importance of obeying the traffic regulations. To make the morning fun and exciting a question and answer portion was conducted for the students to see how well they understood the talk. Prizes were given away to students. 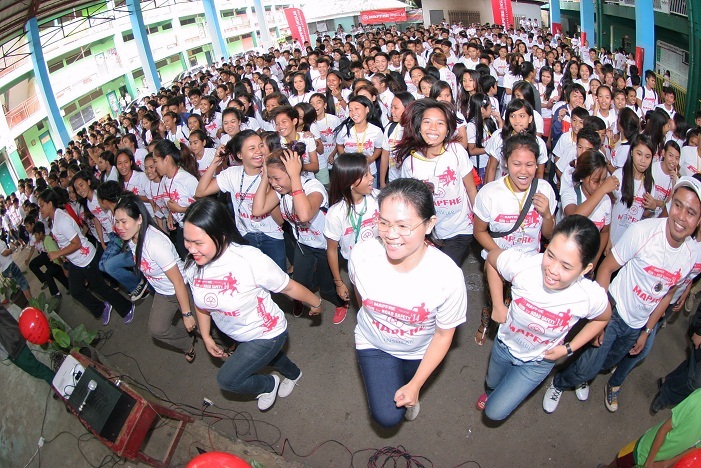 Finally, the event closed with a Zumba dance session that filled the place with enthusiasm. Special thanks to the MAPFRE Insular Cebu spearheaded by Neil Ceniza and Eddith Minguito for their active participation and assistance, and to CITOM and our event sponsors for the support. British sailor Robert Greenhalgh joins MAPFRE as one of the captains for this year’s Volvo Ocean Race. For Greenhalgh, a well-known sailor, sets forth on his fourth Volvo Ocean Race with the Spanish team. He won the race in 2005-2006 on board “ABN AMRO ONE” and was second with “Puma” in the 2008-2009 edition. The last time he competed in the race was in 2011-2012 as a member of the Abu Dhabi Ocean Racing crew. “I am looking forward to the challenge. The Volvo Ocean Race in its new One-Design format looks awesome; the racing looks very close and intense. ‘MAPFRE’, although not a good Leg 1, is definitely a favourite for the race. This will be my fourth race, having finished 1st, 2nd and 5th, so I look forward to being on top again,” he says optimistically. Follow this famed captain and the rest of the MAPFRE team by clicking here. 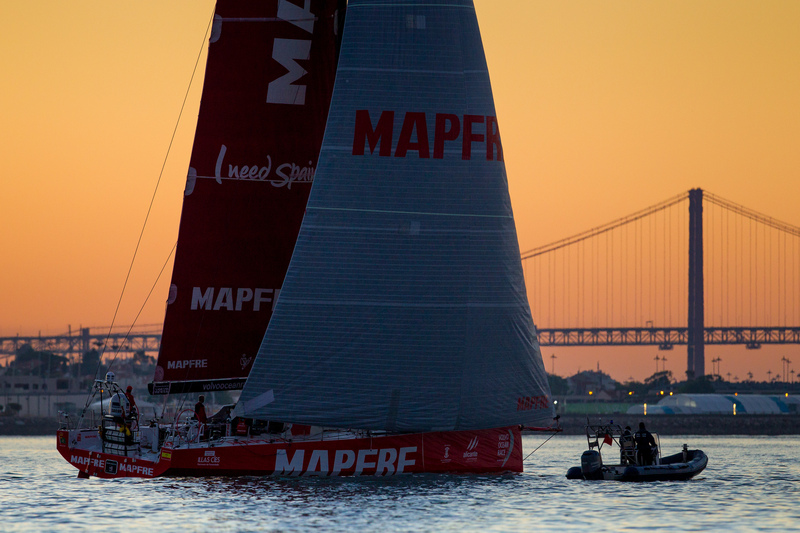 Keep posted on the progress of MAPFRE by checking their official site. For more information, click here. After only 24 hours since the beginning of second leg of the Volvo Ocean Race, MAPFRE places second with the leader, Alvimedica, only three miles ahead. 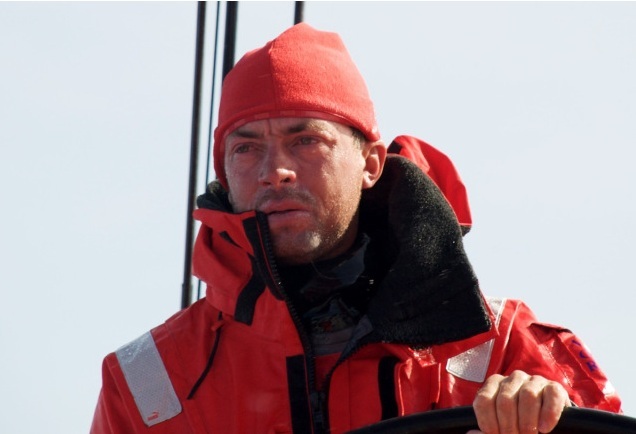 According to MAPFRE navigator Jean Luc Nélias, the night was tough and the team lost some wind advantage. But as day came, they changed course and gained back good speed. 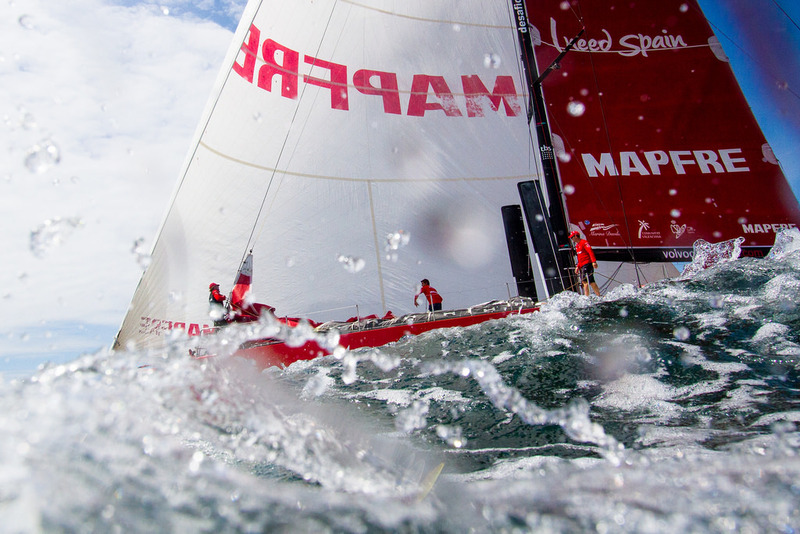 To keep up with the MAPFRE team, visit their official site by clicking here. Known as the most difficult regatta in history, the Volvo Ocean Race is, altogether, a technological, human and logistical challenge that takes its participants around the world for more than 48,000 nautical miles, in the most extreme and unpredictable of weather conditions. 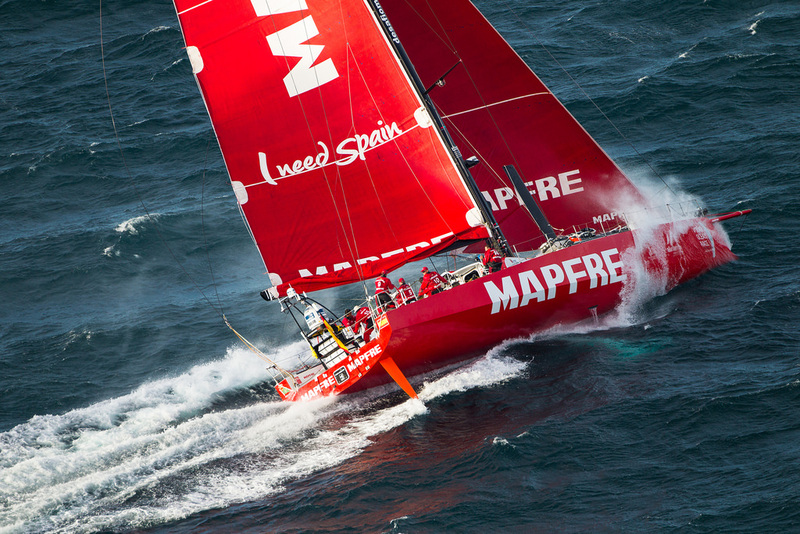 “MAPFRE”, the only Spain boat in the roster, is a participant in 2014-2015 voyage which begins in Alicante, Spain and ends in Gothenburg, Sweden. A team made up of 11 crew members will be braving the 9-month journey around the world, crossing 3 oceans and stopping by 10 cities in 4 continents. Track the MAPFRE team throughout the race. Click here to visit the team’s official site. MAPFRE has signed an agreement with UK insurer Direct Line Group to acquire its motor insurance subsidiaries in Italy and Germany for 50 million euros. The transaction reflects the Spanish company’s firm commitment to online direct insurance, and reinforces its presence in Europe. The businesses in Italy and Germany add premiums of 714 million euros and 1.6million clients, and generate profits before taxes of 19.5 million euros, as per the latest results from 2013. Direct insurance has been a high-growth segment in both countries recently – it has grown by 74 percent and 38 percent over the last five years in Italy and Germany respectively. “The assets acquired in Italy and Germany are clearly a key investment for MAPFRE, given that they underpin two central pillars of our global growth strategy: increasing our presence in Europe, and their alignment with our firm commitment to the digital business”, stated Antonio Huertas, MAPFRE’s Chairman and CEO. Tuesday, May 20, FUNDACION MAPFRE gave out its 2013 Social Awards, which reward people and institutions that have made oustanding contributions to society and which amount to a total of 120,000 euros in prize money. The event was held in the MAPFRE Training Center in Madrid and was presided over by Her Majesty the Queen of Spain. Doctor Joaquin Barraquer Moner – “Jose Manuel Martinez Lifetime Achievement Award” in recognition of the exemplary career of a person over 70 years old at the service of society. The Civil Guard’s nature protector service SEPRONA, created in 1988 – “Best Environmental Management” award for its contribution to the conservation of the environment. Fundacion NIPACE – “Best Act of Solidarity” award for its “Aid for Children and Young People with Cerebral Palsy” program. The Michou and Mau IAP Foundation of Mexico – “Best Action in the Prevention of Accidents and Health Hazards” award for an initiative aimed at preventing accidents and promoting health. 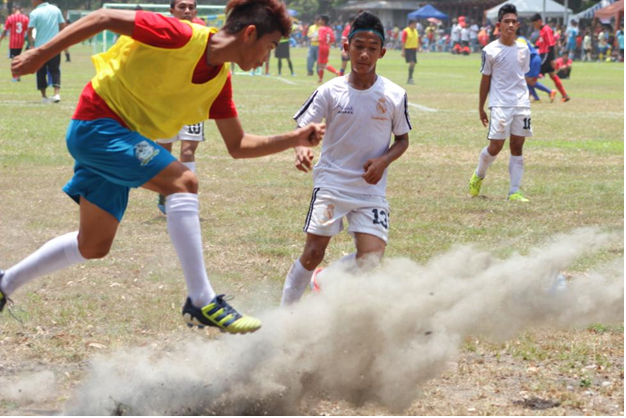 ANAKK Digos, a team composed of kids who grew up in the far-flung city of Digos in Davao del Sur as gang members, were given the opportunity to play in the 3rd Roxas Cup in Nasugbu, Batangas last April 30. Fundacion MAPFRE, in collaboration with football giant Fundacion Real Madrid, and Ang Nagkahiusang Kabatan-onan Alang sa Kalamboan (ANAKK) Sta.Cruz, collaborated to develop a program that promises a future for our-of-school youth through education and football. The program is present in four cities in Davao del Sur; Digos is one of them. The ANAKK Digos team was the chosen team by MAPFRE Insular to be sent to play in the 3rd Roxas Cup. ANAKK Digos placed 1st runner-up. Despite failing to win the crown, ANAKK Digos team captain, Kenn Melvin Galagar, was awarded the Most Valuable Player and the team was high in spirit. Their battle cry “We are One!” is symbolic of their journey from gang rebels to a unified team. Top management and representatives from the different business units and departments of MAPFRE Insular and MAPFRE Asistencia came together for a 2-day workshop with Ms. Leire Jimenez, Head of MAPFRE Asia Pacific and Mr. Javier Fernandez-Cid CEO of MAPFRE Internacional. The workshop was held last March 31 to April 1 , 2014. 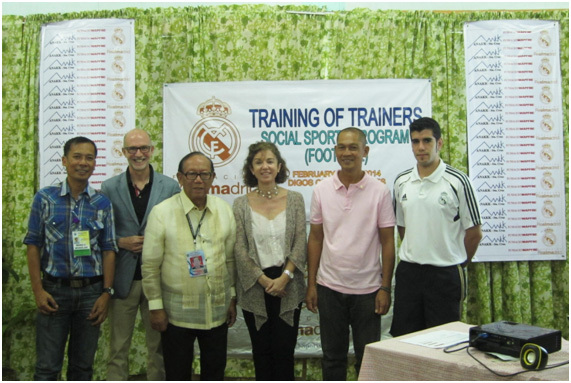 Last February 19-21, 2014, FUNDACION REAL MADRID, the Spanish-based foundation of the famous football team, Real Madrid, conducted a two-day training program for the coaches at ANAKK Sta. Cruz, a social sports school for the underprivileged youth. Victor De Arce, Spanish coach and football player conducted the training program which focused not on the enhancement of the football skills of the school children but on the holistic growth and development of its beneficiaries. The social sports school, funded by FUNDACION MAPFRE in cooperation with FUNDACION REAL MADRID, aims to provide basic healthcare and better education for the “out of school” youth alongside football training, an important source of motivation and values formation. The awarding ceremony of the ANAKK Sta. Cruz coaches who attended the training program was held on February 21, 2014. FUNDACION MAPFRE representative, Rosa Roncal and CEO and President of MAPFRE Insular, Javier Warleta were present during this event. Certificates of completion were given to the participants and the ceremony ended with a closing speech from Mr. Warleta. L-R: Mario Mondejar, DepEd Representative from Davao Del Sur, Javier W. Warleta, CEO and President of MAPFRE Insular, Retired General Franco Magno Calida, Mayor of Hagonoy, Rosa Runcal, Fundacion MAPFRE Representative, Pablo Tanuan, Executive Director of ANAKK Sta. Cruz, Victor De Arce, Coach and Player from Fundacion Real Madrid.